Clinch's striking imagery transports the viewer to a fictional but hauntingly real world; telling accessible tales of loneliness, joy, injustice, humour, melancholy and whimsy. In keeping with his neo-renaissance use of the luxurious egg tempera medium, he paints entirely from drawings, executed plein-air, often at numerous locations and then adapted for composition in the studio. The same fastidious approach is devoted to his beautifully hand-drawn limited-edition lithographs. Clinch has completed many major commissions, including works for; The National Gallery of Victoria, The Ian Potter Museum (Melbourne University), Frank Lowy (Westfield Holdings) and Lindsay Fox (Linfox Transport). Sounds of Silence: Robert Clinch, National Museum of Szcezecin, Poland. Real Life, Latrobe Regional Gallery, Morwell, VIC. Themes and Variations, Manningham Council Gallery, Melbourne. Lithographs, Drawings & Egg Tempera, Robin Gibson Gallery, Sydney. Solitary Perspectives, Shepparton Art Gallery, Shepparton, VIC. Black & White, Hill-Smith Gallery, Adelaide. Urban Myths and Legends, Dickerson Gallery, Melbourne. Urban Myths, Touring; Castlemaine Art Gallery and Historical Museum, Benalla Art Gallery, Latrobe Regional Gallery, Geelong Gallery. Robert Clinch, Lithographs, Robin Gibson Gallery, Sydney. Robert Clinch, Lithographs McClelland Galleries, Langwarrin, VIC. Works On Paper, Robin Gibson Gallery, Sydney. Collectors Exhibition; Lauraine Diggins Fine Art, Melbourne. Dialect: The Town Hall Galery, City of Boroondara, Melbourne. Summer Salon Show: Metropolis Gallery, Geelong, VIC. Salon: Gem's from the Stockroom; Robin Gibson Gallery, Sydney. The Object Devine; Lauraine Diggins Fine Art, Melbourne. The Big Picture Show: Large Scale Australian Paintings; Lauraine Diggins Fine Art, Melbourne. 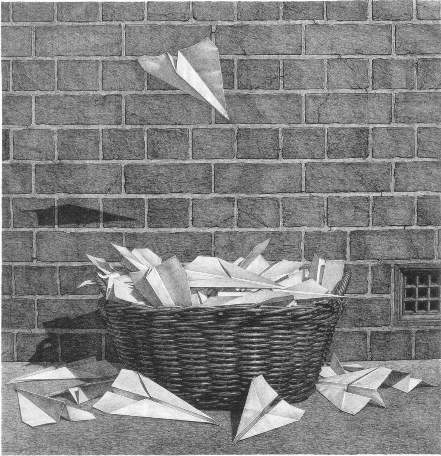 DRAWN: Following The Line; Lauraine Diggins Fine Art, Melbourne. X-Marker: 10 years of the Town Hall Gallery collection; the Town Hall Gallery, City of Boroondara, Melbourne. Burnie Print Prize 2013; Burnie Regional Art Gallery, Burnie, TAS. Dreams and Reality; Karin Weber Gallery, Hong Kong. Parallel Lines: Recent work by Robert Clinch and Peter Serwan; Riddoch Art Gallery, Mount Gambier, SA. Urban Spaces; Steps Gallery, Melbourne. Banyule Award For Works On Paper; Banyule Art Space, Melbourne. Collaborations: artist & printer; Lancaster Press Gallery, Melbourne. Geelong Aquisitive Print Awards; Geelong Gallery, Geelong, VIC. Contemporary And Collectable Australian Printmakers; Metropolis Gallery, Geelong, VIC. On Paper; The Town Hall Gallery, City Of Boroondara, Melbourne. 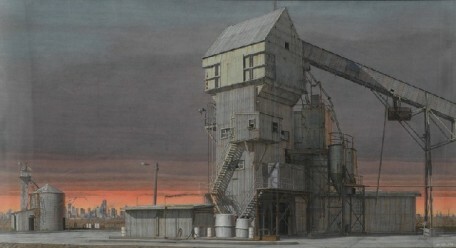 2011 Rick Amor Print Prize; The Barn Gallery, Montsalvat, Etlham, Melbourne. 2010 Fletcher Jones Art Prize;Geelong Gallery, Geelong, VIC. In The Black, Lauraine Diggins Fine Art, Melbourne. Annual Collectors' Exhibition, Lauraine Diggins Fine Art, Melbourne. Preserving The Past; Enriching The Future, National Gallery of Victoria, Melbourne; Ballarat Fine Art Gallery, Ballarat, VIC. 2008 Fletcher Jones Art Prize, Geelong Gallery, Geelong, VIC. People, Places, Townhall Gallery, Boroondara, Melbourne. Director's Choice Exhibition, Hill Smith Gallery, Adelaide. Works From The Studio, Lancaster Press Gallery, Melbourne. Banyule Works on Paper Art Award, Banyule Art Space, Melbourne. The Art Of The Dog, Castlemaine Art Gallery and Historical Museum, Castlemaine, VIC. Inaugural Burnie Print Prize, Burnie Regional Art Gallery, Burnie, TAS. Passion Printing, Lancaster Press Gallery, Melbourne. Civic Connections, The Town Hall Gallery, Boroondara, Melbourne. Australian Print Making; 1960s to Present, Castlemaine Art Gallery and Historical Museum, Castlemaine, VIC. Melbourne and Country, Adam Galleries, Melbourne. Geelong Aquisitive Print Awards, Geelong Gallery, Geelong, VIC. Expansion, Lancaster Press Gallery, Melbourne. Ballarat and Beyond, Ballarat Fine Art Gallery, Ballarat, VIC. Between a Rock and a Hard Place, Lancaster Press Gallery, Melbourne. City Life, Hoorn-Ashby Gallery, New York. Wynne Prize, Art Gallery of New South Wales, Sydney. Archibald Prize, Art Gallery of New South Wales, Sydney. Uncommon Australians, National Gallery of Victoria, Melbourne, (then touring all State and National Galleries). Alice Bale Art Award, McClelland Gallery, Langwarrin, VIC. Portraits of Joseph Brown, Latrobe University Gallery, Melbourne. Ansett Invitation Art Award, City of Hamilton Art Galley, Hamilton, VIC. Sir William Dobell Art Award, Ray Hughes Gallery, Sydney. Fine Painting, Australian Galleries, Melbourne. State Library of Victoria Creative Fellowship, 2102-13. Archibald Prize; Art Gallery of New South Wales, Sydney, 1998 (finalist). Wynne Prize; Art Gallery of New South Wales, Sydney; 1985, 1986, 1987, 1989, 1991-92, 1993, 1994, 1995, 1997, 1998, 2000 (finalist). Geelong acquisitive print awards, (finalist), Geelong Gallery, 2009. Wynne Trustees Water Colour Prize, Art Gallery of New South Wales, 1993. Marten Bequest Travelling Scholarship, 1993. Wynne Trustees Water Colour Prize, Art Gallery of New South Wales, 1989. Royal Overseas Art Award, Open Prize, 1984. Castlemaine Art Gallery and Historical Museum, Castlemaine. Chaiyong Limthonkul Foundation Fine Art Museum, Bankok. Gordon and Marilyn Darling Collection. Joseph Brown Collection, N.G.V., Melbourne. McClellan Gallery + Sculpture Park, Langwarrin. Potter Museum of Art, Melbourne University. State Library of Victoria, Melbourne. State Library of Queensland, Brisbane. The Town Hall Gallery, Boroondara. Potter Museum, Melbourne University, 1998. National Gallery of Victoria; 1995-1996. Linfox Transport; 1989, 1990, 1992, 1993-1994. Portrait; Dr. Joseph Brown, A.O., O.B.E., 1991. Portrait; Sir Henry Bolte, G.C.M.G.,1989. Portrait; Fr. John Brosnan, O.B.E.,1985. Mardi Nowak, Marion Piper, Marker: 10 Years of the Town Hall Gallery Collection, (Essay; Marion Piper), Town Hall Gallery, 2013. Robert Clinch, Artist Profile, Issue 24, (Essay), Nextmedia, 2013. David Thomas, Julie Collett, Robert Clinch; Fanfare for the common man, Art Gallery of Ballarat, 2013. Christine Rohrschneider, Allgemeines Künstlerlexikon (The Universal Artists Dictionary), Saur, 2011. Fiona West, Real Life: Stories from the Inner Suburbs, (Exhibition essay), Latrobe Regional Gallery, 2011. Megan McEvoy, Themes and Variations, (Catalogue interview), Manningham Gallery, 2010. Bryony Nainby, Zara Stanhope and Katherine Furlonger, The CBus Collection Of Australian Art, CBus, 2009. David Hurlston, Preserving The Past, Enriching The Future Hugh Williamson's Legacy, NGV, 2008. Thomas, David, ''d'Art: The Art of Robert Clinch'', The Lytlewode Press, Stoke-on-Trent, 2007.